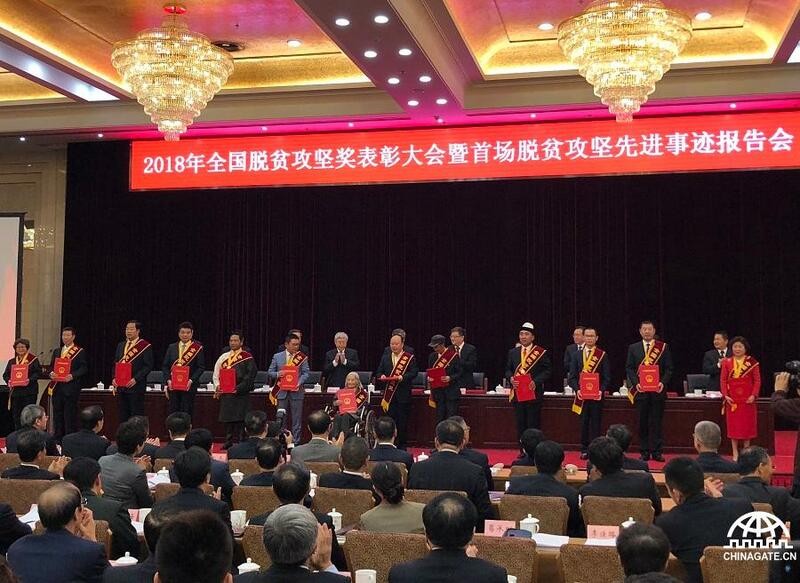 The 2018 National Poverty Alleviation Awards were announced in Beijing on Wednesday. A total of 99 individuals and 40 organizations received awards for their endeavors, contributions, dedication and innovation in poverty relief. The list of awardees includes people who have shaken off poverty through their own efforts, entrepreneurs who have helped those in need to achieve a better life, innovative pioneers in poverty alleviation, and the organizations that have made an outstanding contribution to helping the poor. 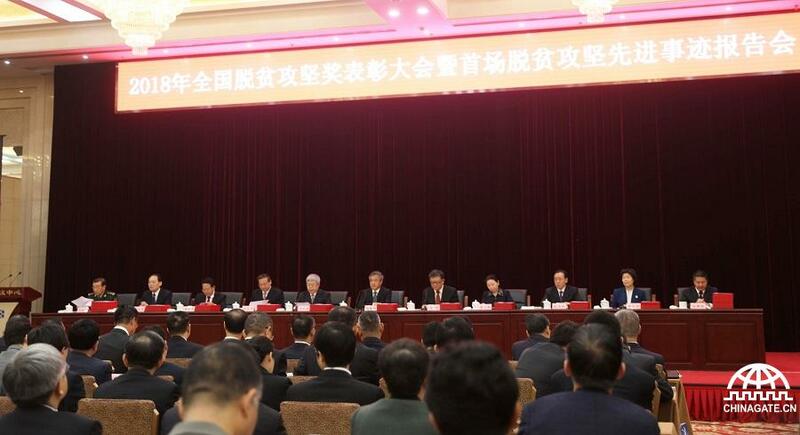 Liu Hong, secretary of CPC municipal committee of Jinggangshan city, Jiangxi province, said in his speech that the city is a pioneer in China. Through various reforms, innovation and targeted poverty alleviation, the city rid itself of poverty in 2017. Its outstanding achievements made it one of top 10 examples of China's reform in 2017. Wang Xiling, a person in charge of a local seedling cooperative, shared her story with the audience and other winners. She was diagnosed with cancer in 2011, and spent all her family savings on treatment. In 2013, her husband died in a traffic accident. Despite suffering great physical and emotional pain, she had never given up. With the help of the local government, she founded a seedling cooperative which earned revenues of 1.58 million yuan (US$228,200) in three years, and more importantly, she helped 43 other households planting seedlings, 18 of whom had escaped from poverty. 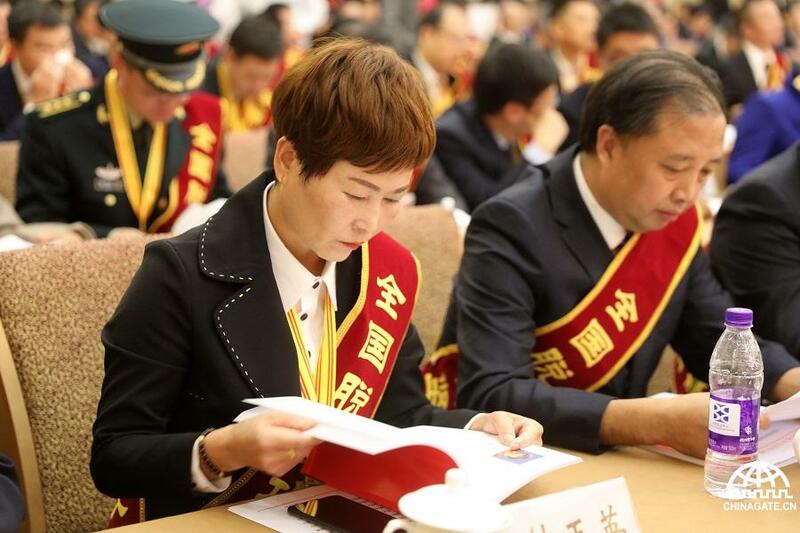 The award ceremony has been held every year since 2016 by the State Council Leading Group Office of Poverty Alleviation and Development. 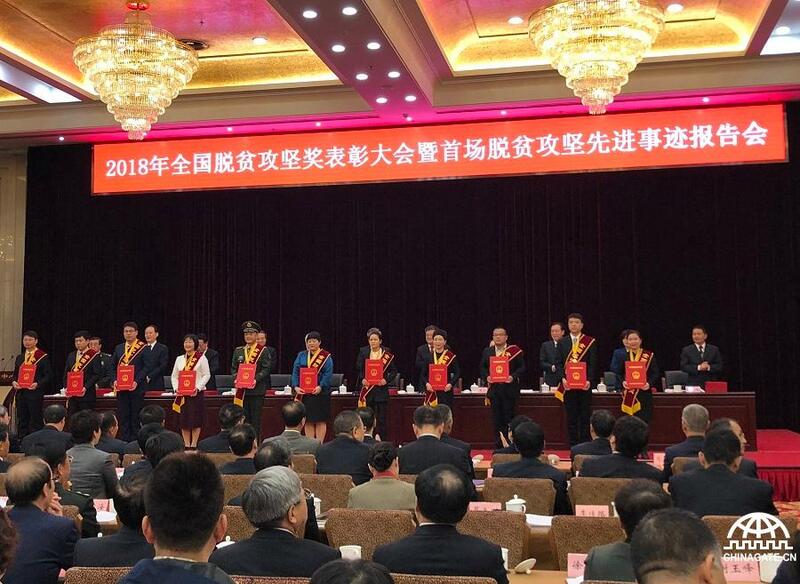 The jury panel members included National People's Congress (NPC) delegates, Chinese People's Political Consultative Conference (CPPCC) members, professionals, academics, and representatives of the grassroots, the media, and other social organizations.